Wasim Bux is Product Manager at the car insurance provider iGO4. Here, he shares his thoughts on how new technology is improving car safety. We’re all aware that self-driving cars will eventually become a common feature on our roads. Multiple companies are racing to design, develop, and get theirs on the market first but, because fully autonomous cars are going to have a huge effect on everything from our driving laws to the ways people make claims on their insurance, it will still be a while before they enter the mainstream. However, new technology is still being created and released all of the time, which means vehicles are already becoming much safer to drive, thanks to smart and autonomous features that reduce the risk of human error. Here, I’m going to take you through some of the most important technology we’re already seeing more and more of and will also cover some features that are only just beginning to make their way onto the market. We expect inter-vehicle communication to become far more common over the next few years. This technology provides cars with the ability to send messages between themselves, which allows vehicles to have some awareness of what’s going on around them. This, coupled with certain autonomous technologies like automatic braking and steering, can reduce the number of collisions that happen out on our roads, as everything won’t simply be left up to the driver. These cars can help to make certain decisions based on the information they receive from the vehicles in their vicinity. Two in three drivers have had their vehicle damaged in a car park, according to Motoring Research. While we tend to hear a lot more about dramatic accidents that happen on motorways, you’re far more likely to be involved in a smaller collision with a parked or moving car when visiting your local supermarket or shopping centre. This is why it’s likely that self-parking technology is going to drastically reduce how many cars will require minor paint and body repairs over the next few decades. Park assist features have been available since 2003, but fully automated parking systems are being rolled out more and more. And, in the future, your car might even be able to drop you off at the door of your destination and then find a parking space on its own. Many modern vehicles are able to provide drivers with a lane departure warning. This notifies you if you drift slightly outside of your lane without indicating and was designed as a way to alert drivers who might have started to fall asleep. Although, it can be generally helpful if you ever get distract while on the road or your spatial awareness isn’t the best. In recent years, this has developed into more sophisticated lane keep assist systems, which not only alert you if you’re drifting out of your lane, but also help you to steer so you can stay safely in the centre of your side of the road with minimal effort. Of course, this can help you to avoid collisions by ensuring you stay exactly where you’re meant to be. One in six crashes on major roads that result in death or injury are fatigue-related, according to the road safety charity Brake. It’s a huge problem — particularly with commercial vehicles — so it was only a matter of time before technology was developed to manage the issue. Some modern vehicles are now equipped with driver drowsiness detection, which uses an algorithm to detect any changes in a driver’s behaviour that might suggest they’re tired. These systems can do this by recording your steering behaviour at the beginning of a trip. 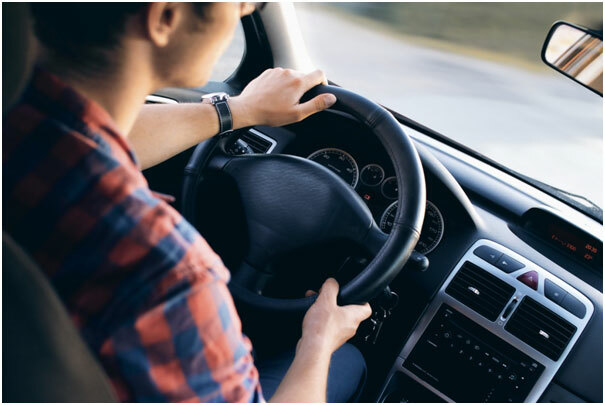 The technology can then recognise any changes over the course of a long trip and combine this information with other factors like the use of your indicators, the time of day, and how long you’ve been driving for to work out your level of fatigue. If this level exceeds a certain value, a warning will flash up on the instrument panel to let you know you should rest. As these kinds of features become more common, it’s likely there will be far fewer tired drivers on our roads, which should reduce the number of accidents that occur. As you can see, new technology is constantly being developed with the aim of making driving safer for everyone. Some car manufacturers are hoping to get self-driving vehicles on the roads as soon as 2021, but certain autonomous features can already be found in a lot of the latest models, limiting the risk of human error, and ultimately reducing the number of accidents on our roads. And, this trend is only set to continue.